After having so much fun at last year's Shindig we couldn't wait to go back. This year it was in North Carolina. We heard their grass was green instead of brown so we headed East. We stopped in Alpharetta, Georgia just North of Atlanta, where Chelsa's wonderful Aunt & Uncle live. John & Dyna Kohler treated us to two days of hiking, canoeing, great cooking, and enlightening conversation. 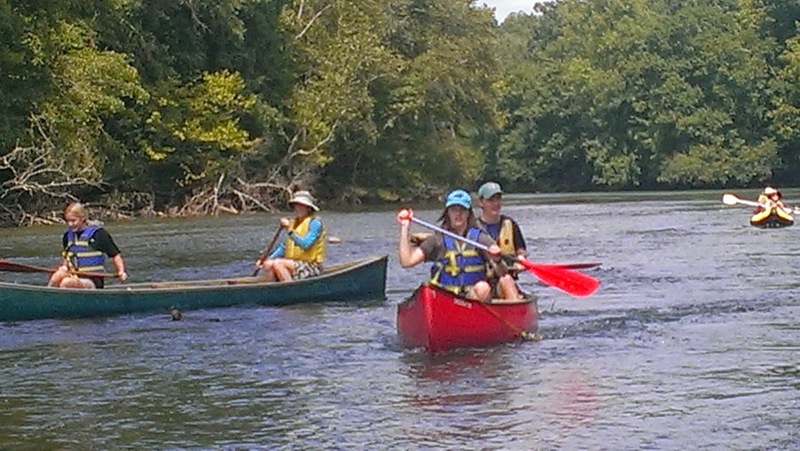 Here are some pictures of us enjoying our day on the Chattahoochee River. Sierra & Sterling man one canoe and Chelsa & Samantha another. John & Dyna are in the rear trying out their new inflatable kayak. 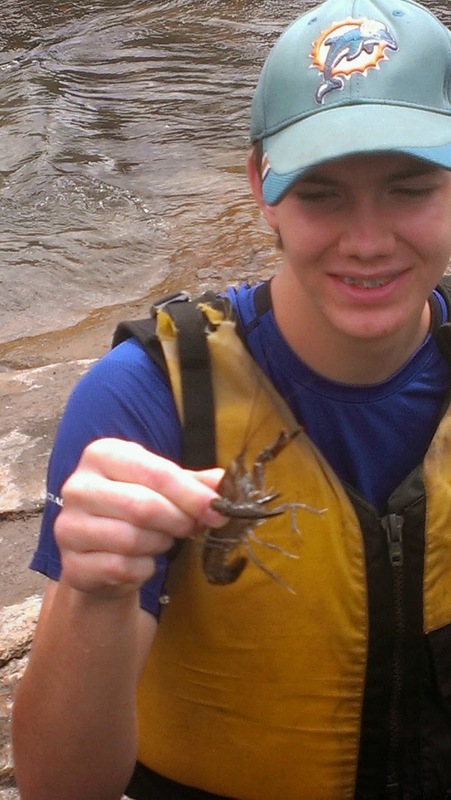 Sterling holds a crawfish that Samantha found. 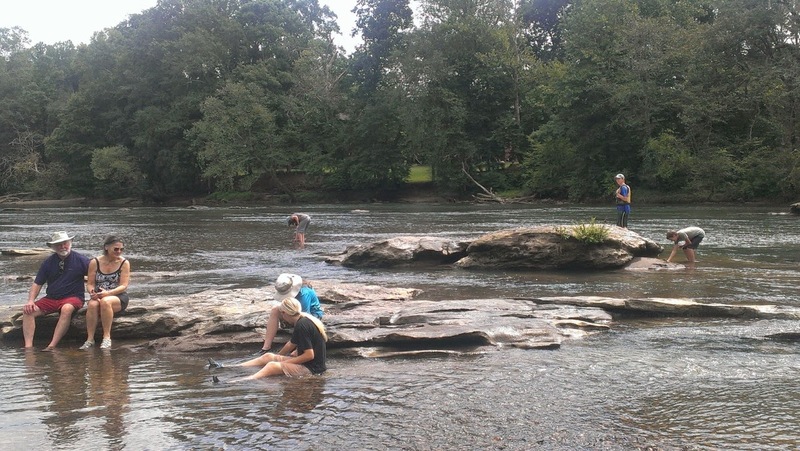 Exploring on a rock bed near a small island on the Chattahochee. Wednesday we were on our way to North Carolina and it didn't take us long to find our friends, the Plaths, to go on a hike. 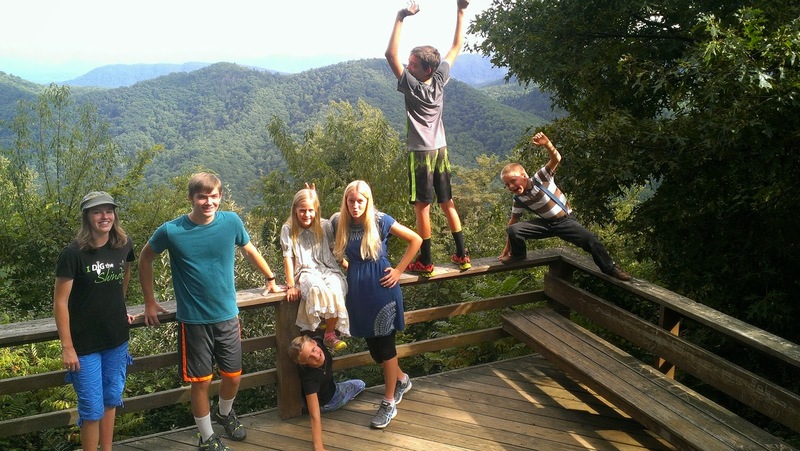 This is a scenic stop on a steep hiking trail with two of the Plath kids. The Shindig had classes on Bible teaching, marriage, herbs, and more. There was a lot of time for games & fellowship between meals and classes. Twice a day we met in a large auditorium for music, teaching, and a little fun. 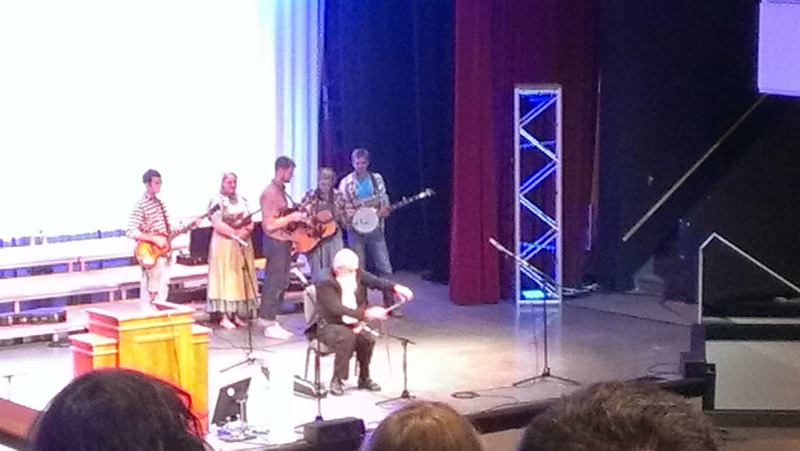 Mike Pearl playing music on a long blade saw with the soggy britches group in the back ground!